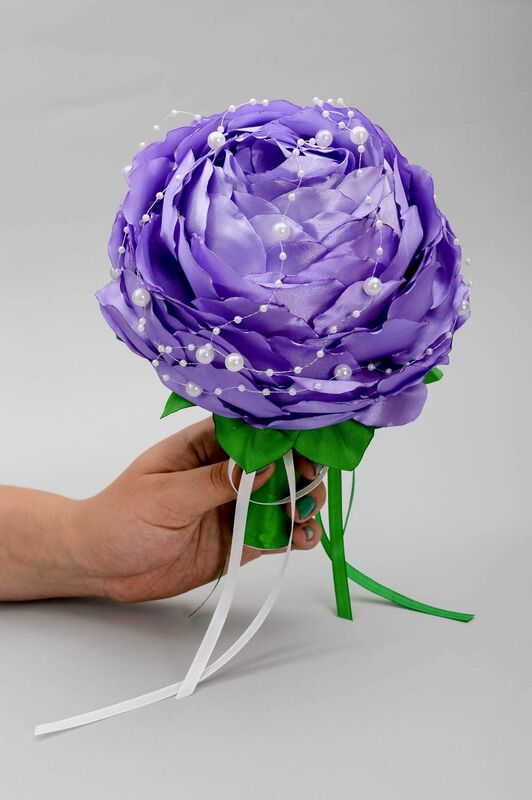 Wedding bridal bouquet is a special accessory, giving the tenderness and romance to the ceremony. 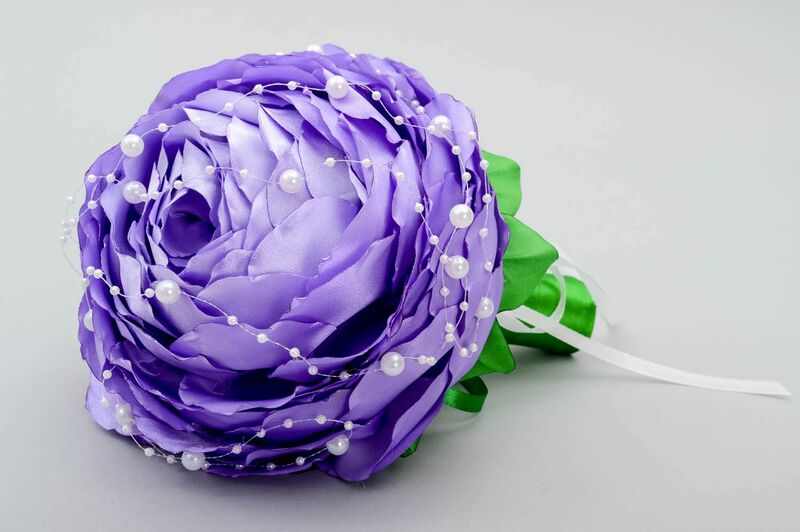 It will emphasize the sophistication and elegance of the Queen during the most important event in her life. 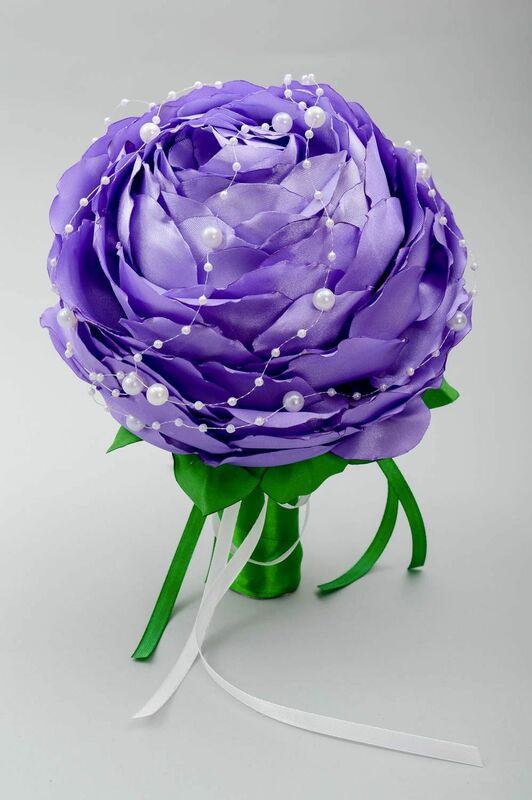 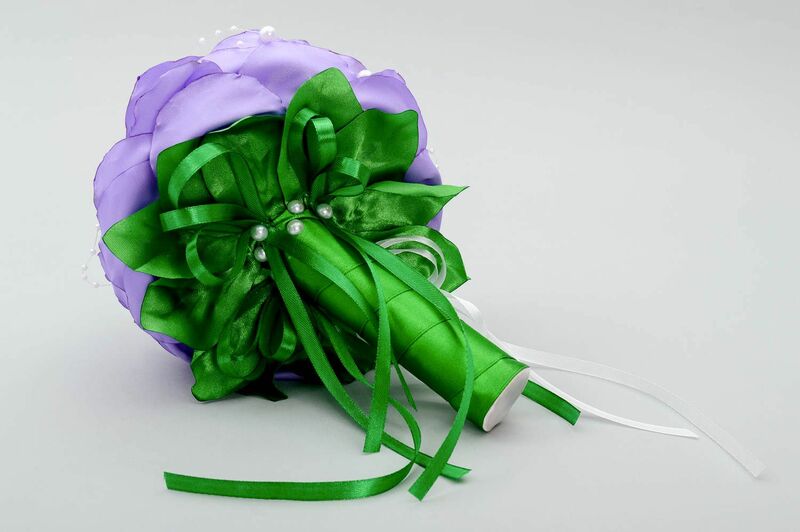 This beautiful bouquet is artfully created of satin ribbon. 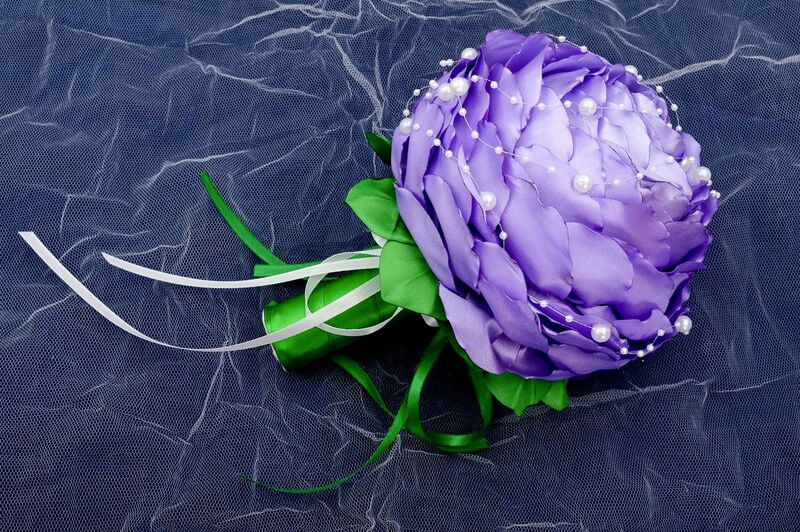 Plastic pearls add some special elegance to the accessory.